The story of Alina, the sun summoner, continues and has me captivated. After leaving the Darkling and the Royal Court behind, Mal and Alina are fleeing over the sea to earn enough money in some big seaport. Unfortunately, they are captured by this power-hungry Grisha who claimed to love Alina while just wanting to use her power to take control of the world. What is more frightening than ever: The Darkling somehow learned to create dark creatures who can rip everything living as quickly as the creatures of the Fold apart. As they are forced to go hunting the sea whip, so the Darkling can increase his power, Mal becomes friends with the captain of the ship they sail with – Stormhond. But suddenly something unexpected happens: Stormhond and his Crew free Alina and Mal and can manage to escape the Darkling barely harmed. Stormhond is none other than … no I can’t spoil that. This new character is everything you need him to be, what is quite dangerous as Alina mentions in the book. He is funny, charming, serious, ambitious and maybe one person more who can spread hope among the people of Ravka. 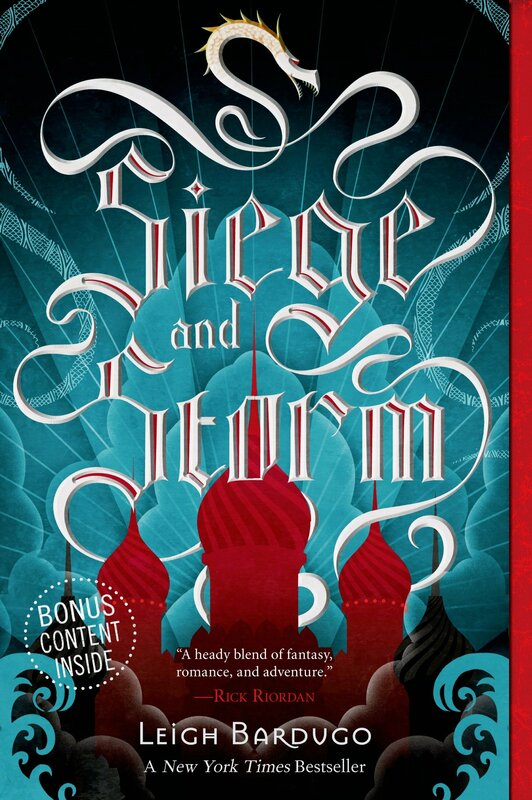 This sequel is absolutely as good as the prequel Shadow and Bone .Alina grows into her role as leader, as strong women but also struggles with the weight of her powers and the responsibility. Mal as well has to deal with the new situation – he loves Alina over everything but he feels as misplaced under all these politicians and court intrigues as she felt under the Grishas in the first book. I really like Mal, but sometimes I want to smack him. Hard. Of course, he is human and some of his doing is stupid but I can deal with it hardly, when there are so much other possible suitors for Alina. Her romantic bonds have become more important and I want her to stay with Mal but all these problems, her dark secrets and her positions are driving them apart. But there is so much more to this book than just these two. Every character is a little more shaped and getting more interesting. This sequel is compared to the prequel darker but as brilliant.